The Bitcoin Foundation, an organization that aims to assist the community of bitcoin users in all ways possible, has released a five-page primer to help bitcoin businesses, including bitcoin gambling sites, to understand rules governing online transactions in countries all over the world. 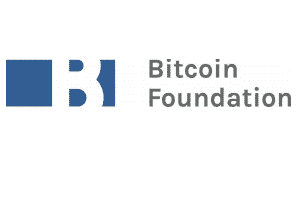 Ever since its launch in July 2012, the foundation has been actively working for the welfare of bitcoin users and bitcoin businesses. It was Robert A. McFarlane, the chair of the technology law practice of Hanson Bridgett LLP, who commissioned this primer. Titled “A Bitcoin Primer on Jurisdiction,” the primer aims to help members of the bitcoin community understand laws in various jurisdictions. According to the Bitcoin Foundation, “jurisdiction” is “a government’s coercive power to hold individuals accountable to its laws.” The primer lists various steps bitcoin companies can take in order to avoid getting into trouble with the law. The foundation hopes that various bitcoin companies will use the guidelines in the primer to avoid getting into legal trouble in states unfriendly to bitcoin. For example, the primer advices bitcoin companies to screen users according to the addresses they provide to avoid accepting users residing in bitcoin unfriendly jurisdictions and to avoid displaying ads targeting residents of such jurisdictions. The primer suggests that, by refusing to interact with users in unfriendly jurisdictions, they can convey the message that they are not interested in conducting any business there. Jim Harper, the Bitcoin Foundation’s Global Policy Counsel, said that bitcoin businesses are not really interested in excluding any jurisdiction. Simultaneously, he warned businesses to be wary of operating their businesses in unfriendly jurisdictions and instead stick to jurisdictions that are open to innovation, employment generation, and financial growth as they understand the various benefits of bitcoin better. Stating that bitcoin has a great future as it has the potential to allow businesses and individuals to conduct transactions easily and anonymously across borders, the primer warned that some jurisdictions are still not open to the change. If bitcoin users and businesses conduct transactions in such jurisdictions, they may fall victim to foreign laws that they do not quite understand. The Bitcoin Foundation released the primer shortly after the New York Department of Financial Services (NYDFS) proposed regulations for bitcoin users and businesses. So far, several members of the bitcoin community have criticized it. The NYDFS has invited comments and feedback on its proposals for a period of 45 days, but the public complained that this period is too short for studying the proposal and commenting on it. Perianne Boring, the president of the Chamber of Digital Commerce, said that it is “severely inadequate.” Taking all these complaints into consideration, the NYDFS announced that it would extend the commenting period to another 45 days, which gives the public time up till Oct 21 to post their comments. The NYDFS has also promised that it would extend the commenting period further if it changes or modifies its original proposal, thus giving the public ample time to provide feedback.